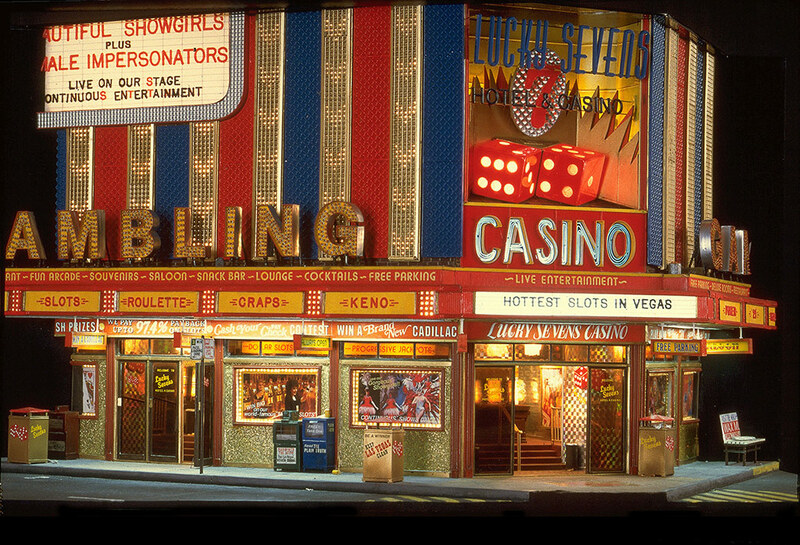 I built LUCKY SEVENS CASINO before the Las Vegas strip was turned into a theme park, so it was modeled after the older gambling establishments — they had that ostentatious Vegas feel to them, but with less extravaganza. It was before the days of 'Dancing Waters' and laser light shows. Rather than copying the design of one casino, I took details and features from several different places. There are two views into the piece. Looking into the main entrance, you can see gaming tables, roulette wheels, and change booths. 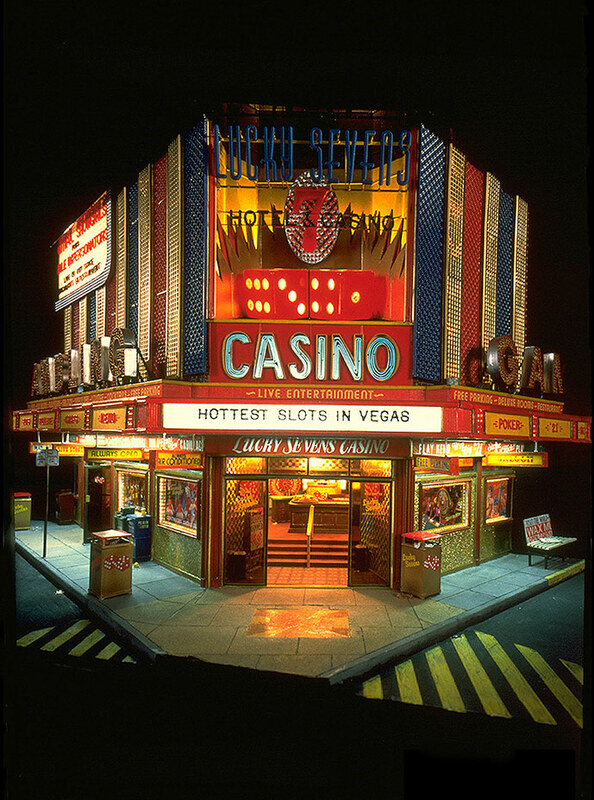 The side view has rows of slot machines, all of which light up. The outside of the building displays a light show 'a la Vegas.' The vertical strips seen on the top half of the building contain fiber optic lights that form an illuminated pattern of chevrons that 'chase' from top to bottom. The large dice on the front of the building flash on-and-off, beckoning people to come in and lose their paychecks. There is a switch built into the electric circuit that allows the piece to be displayed either with the lights; chasing and flashing, or just illuminated without motion. LUCKY SEVENS CASINO took about nine months to complete, and contains approximately 2500 fiber optic strands.